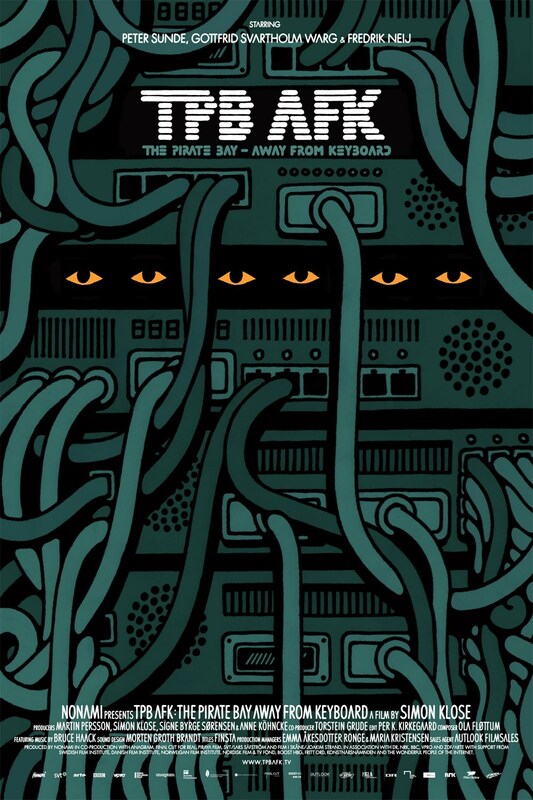 TPB AFK: The Pirate Bay Away From Keyboard is a documentary directed by Simon Kose following the lives of The Pirate Bay's three Founders, Peter Sunde, Fredrik Neij and Gottfried Svartholm at the time of their trial and appeals. The title hints at the fact that AFK is preferred by the "characters" of the documentary to IRL (in real life) as an acronym meaning "not on/through the internet" as they feel the internet is part of real life. The film was backed through crowd funding having received further funding by the Swedish government's Arts Grants Committee Konstnärsnämnden. It was released in 2013 under a a Creative Commons license (free to share — copy and redistribute the material in any medium or format) onto The Pirate Bay and other BitTorrent sites.